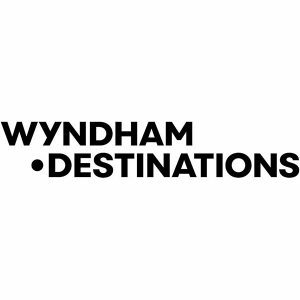 Wyndham Destinations, Inc. (NYSE: WYND), the world’s largest vacation ownership and exchange company, today reported third quarter 2018 financial results for the three months ended September 30, 2018. “Our company reported another outstanding quarter, demonstrated by strong operational results that came in above expectations,” said Michael D. Brown, president and chief executive officer of Wyndham Destinations. “As we have demonstrated this quarter, Wyndham Destinations continued to execute upon our key strategic initiatives, which included increasing our new owner sales mix and further integration with the Blue Thread, all while preserving our margins. Our elevated level of share repurchases in the third quarter underscored our commitment of returning value to shareholders,” said Brown. During the third quarter of 2018, further adjusted net income was $146 million and further adjusted diluted EPS was $1.47 based on 100 million diluted shares outstanding. Further adjusted EBITDA was $271 million, compared to $257 million in the third quarter of 2017, and was near the top-end of the Company’s guidance range of $262 million to $272 million. Hurricane Florence was estimated to have negatively impacted further adjusted EBITDA by $10 million in the third quarter of 2018. Net Debt — As of September 30, 2018, the Company’s leverage ratio was 2.9x. The Company had $3.0 billion of corporate debt outstanding, which excluded $2.2 billion of non-recourse debt related to its securitized notes receivable. Additionally, the Company had cash and cash equivalents of $164 million. Refer to Table 9 for definitions of net debt and leverage ratio. The Company’s guidance assumes that the spin-off of its hotel business and the sale of its European vacation rentals business had been completed on January 1, 2018. This guidance is presented only on a non-GAAP further adjusted basis because not all of the information necessary for a quantitative reconciliation of forward-looking non-GAAP financial measures to the most directly comparable GAAP financial measure is available without unreasonable effort, primarily due to uncertainties relating to the occurrence or amount of these adjustments that may arise in the future. Please refer to Table 8 for further information. Wyndham Destinations will hold a conference call with investors to discuss the Company’s results and outlook today at 8:30 a.m. ET. Participants may listen to a simultaneous webcast of the conference call, which may be accessed through the Company’s website at investor.wyndhamdestinations.com, or by dialing 877-876-9177, passcode WYND, approximately 10 minutes before the scheduled start time. For those unable to listen to the live broadcast, an archive of the webcast will be available on the Company’s website for approximately 90 days beginning at 12:00 p.m. ET today. Additionally, a telephone replay will be available for approximately 10 days beginning at 12:00 p.m. ET today at 800-723-7372. Wyndham Destinations (NYSE: WYND) believes in putting the world on vacation. As the world’s largest vacation ownership and exchange company, Wyndham Destinations offers everyday travelers the opportunity to own, exchange or rent their vacation experience while enjoying the quality, flexibility and value that Wyndham delivers. The company’s global presence in 110 countries means more vacation choices for its nearly four million members and owner families: Wyndham’s 220 vacation club resorts, which offer a contemporary take on the timeshare model, with signature brands including CLUB WYNDHAM®, WorldMark® by Wyndham, Margaritaville Vacation Club® by Wyndham, and Shell Vacations Club; 4,300+ affiliated resorts through RCI, the world’s leader in vacation exchange; and 10,000 rental properties from coast to coast through Wyndham Vacation Rentals, North America’s largest professionally managed vacation rental business. Year after year, a worldwide team of 25,000 associates delivers exceptional vacation experiences to families around the globe as they make memories to last a lifetime. At Wyndham Destinations, our world is your destination. Learn more at wyndhamdestinations.com.